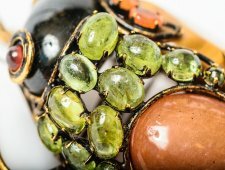 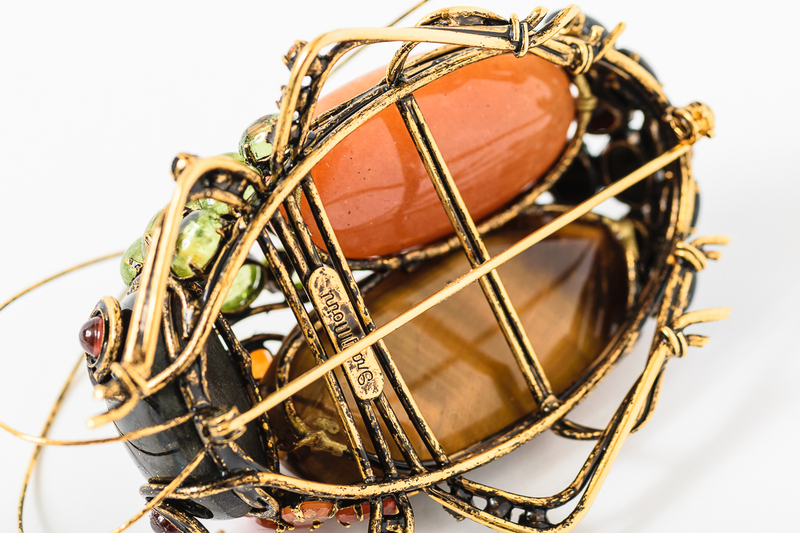 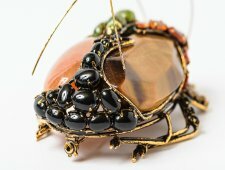 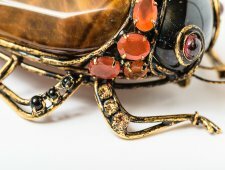 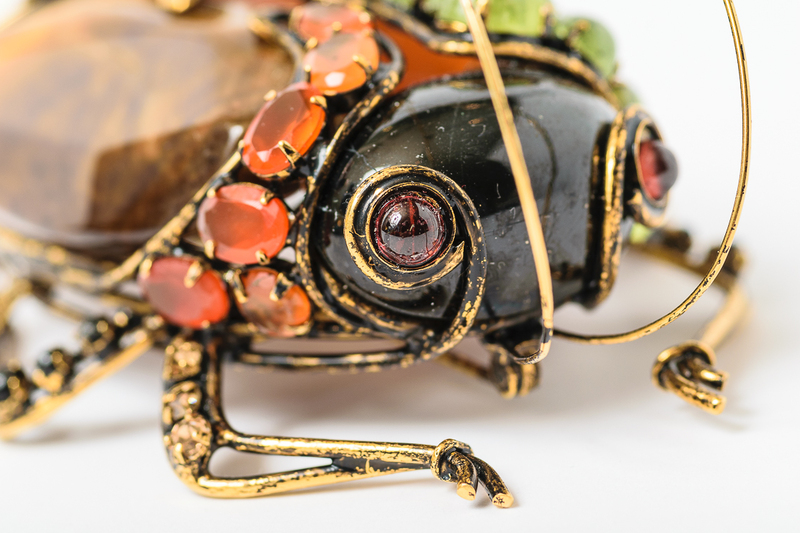 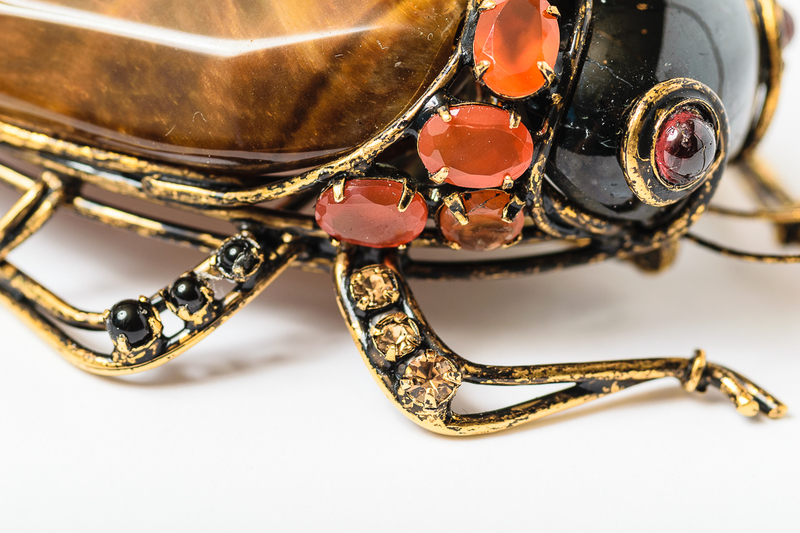 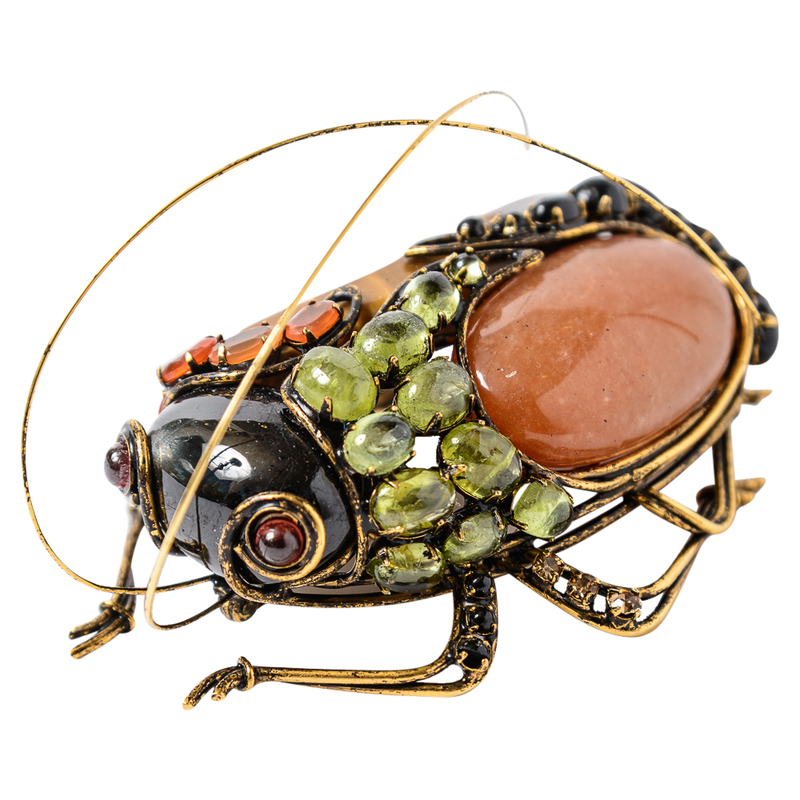 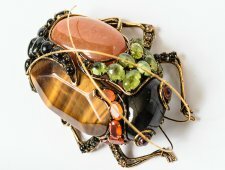 Iradj Moini Agate Beetle Pin w Semi Precious Stones. 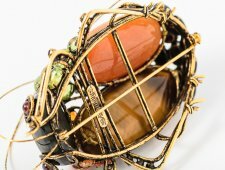 Large picture agate stone with crossed bands of turquoise and carnelian. 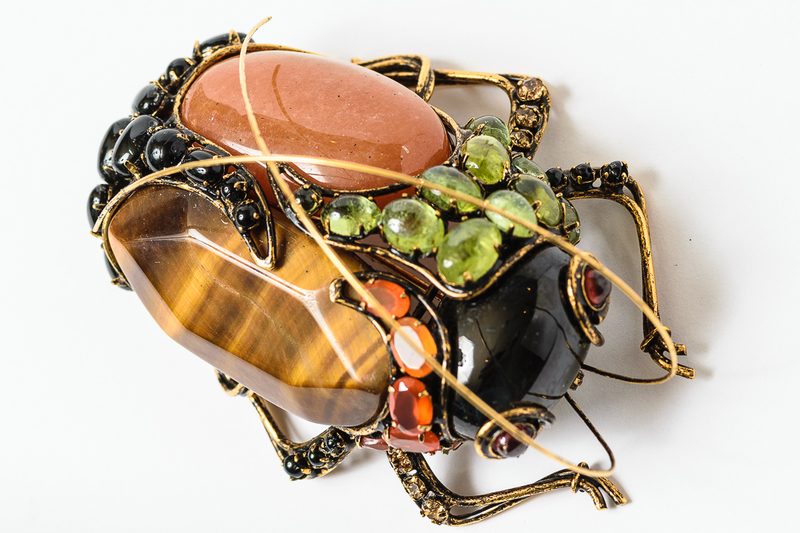 The pin measures 2.5 inches long and 1.5 inches wide. 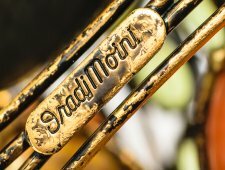 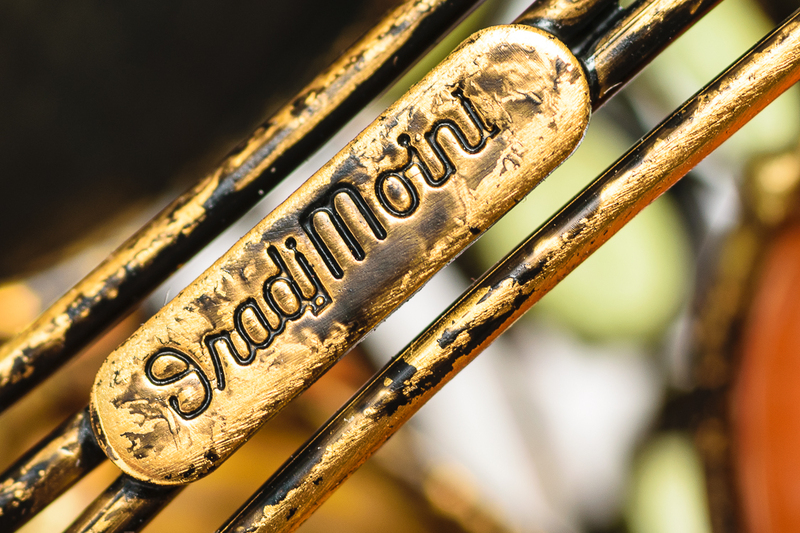 Signed Iradj Moini.